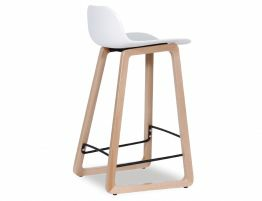 The Siloh Kitchen and Bar Stool is one of our newest and most favorite stools to hit Relax house. 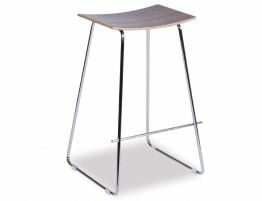 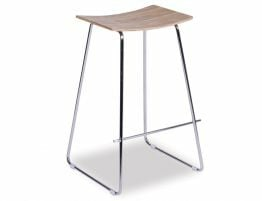 With its initiative design featuring both new and modern materials and implementing natural timber features, the Siloh Kitchen Bar Stool is of an interesting blend of materials. 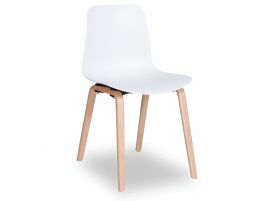 The seat is made of the most impact resistant ABS plastic allowing the toughness of such a material to last a lifetime. 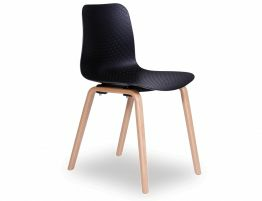 The combination of natural timber details in the base and legs supporting a modern elaborate black textured seat with intricate details is a most impressive feature. 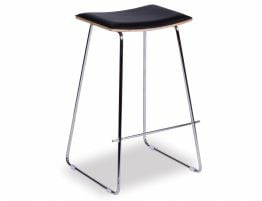 The steel foot rest is a durability assured feature as well as an obvious designer statement featured in black also. 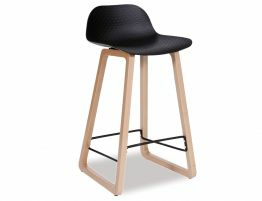 The Siloh Kitchen Bar Stool is detailed and sensationally appealing and will work wonders in the most modern and newest of designer interiors.